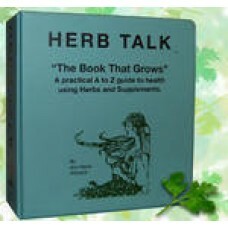 Includes over 100 different ailments and how to treat them naturally. Information about herbs and supplements and their nutritional content. This book is user friendly and full of great information. 100+ ailments, 115 herbs-active nutritional contents, Herbal formulas for teas and capsules, Why and how to use them, over 385 pages that boast herbal illustrations, new photographs, and the latest information about natural healing.